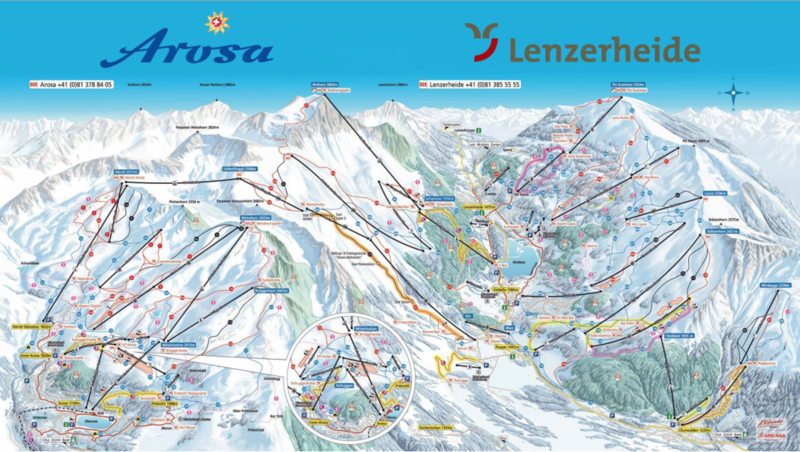 Arosa Lenzerheide: One resort – three sunny valley sides – unlimited possibilities! Arosa Lenzerheide is the new dream couple of Switzerland. With 225 kilometres of ski slopes certain of snow and record-breaking days of sun, the new winter paradise in Graubünden is always worth a visit. The cross-country ski centre offers 52 km of prepared slopes. At an altitude of 1.500 m above sea level, it is ideally situated for high altitude training. The Swiss resort village of Lenzerheide lies in the Canton of Graubünden only 90 minutes from Zurich. The mountains surrounding Lenzerheide fascinate every visitor and are the perfect holiday spot both in summer and winter. The holiday region of Lenzerheide has an interesting history. In former times it served as Alpine pass road and the landscape was dotted with log huts used for the summer pastures. Today the region is a well-known holiday destination, which offers anything both sport enthusiasts and conoisseurs need and desire. The Lenzerheide region encompasses the villages of Malix, Churwalden, Parpan, Valbella, Lenzerheide, Vaz/Obervaz (Lain, Muldain and Zorten), Lantsch/Lenz and Brienz/Brinzauls and since January 2014 also Arosa. Each village contributes in a special way to the uniqueness of the destination. Embedded in a magnificient high Alpine valley on the shore of the Heid Lake at 5,000 ft (1,500 m) Lenzerheide and Valbella are the heart of the holiday region. Arosa Lenzerheide is a popular winter sport destination. 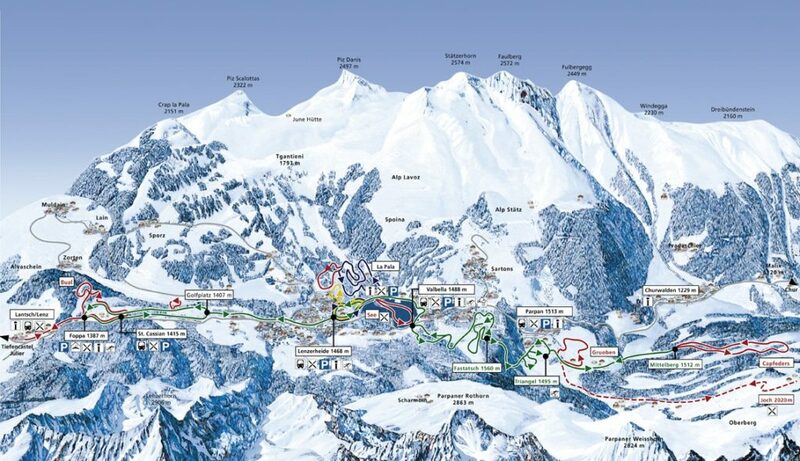 The skiing area offers well groomed slopes reaching up to 9,400 ft (2,865 m). 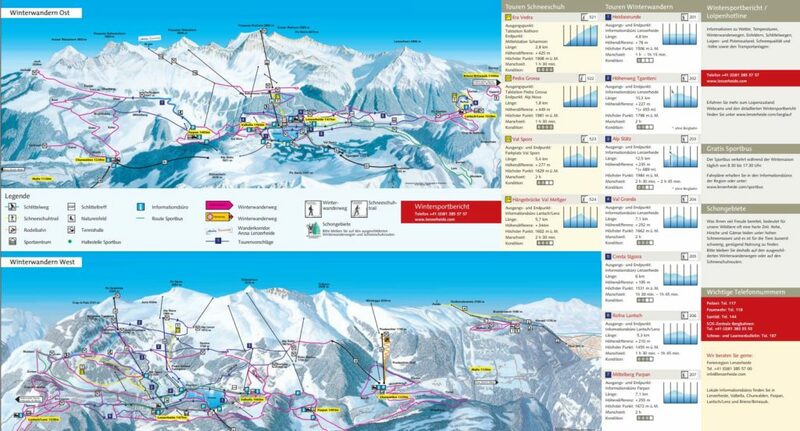 It offers 42 lifts and 255 kilometers of slopes. Lenzerheide – versatile, sunny and snow guaranteed. Much can be said for the three sun basking valley sides of the ski resort Arosa Lenzerheide. With 225 km of prepared slopes and located at a high altitude, which ensures enough snow until late spring (1.230 to 2.865 meters), it offers all you need to enjoy a perfect holiday in the Swiss Alps. The 42 modern ski lifts transport sports enthusiasts to diverse downhill runs as well as pleasant hikes and quaint cabins to enjoy the wonderful panoramas. The free bus service stops across the road from the hotel. It offers direct connections to and from the slopes all day long. Our group meets every day for lunch in one of the mountain cabins. Often we get together again later to conclude a nice ski day on the sun terrace of the Crest’ota cabin or the Goldgräberbar, only a few steps away from the hotel. More than a third of the slopes have been equipped with snow-making capability to insure continuous ski pleasure – regardless of the weather. For those who want to try a different flavour: Alp Stätz, one of the hills, invites snowboaders and other free riders to enjoy their new Snowpark-Area. In order to show you around the slopes and to meet the people, we offer ski guiding in small groups on the first day. There is one group for every experience level. During the rest of the week, our group meets daily in one of the cabins for lunch to exchange experiences and to meet new people. For your convenience we arranged a discount agreement with the main sport shops in Lenzerheide (Pesko and Blaesi). Just mention our group at the counter to receive your rental and service discount (no discount given on sale of equipment or clothing). No photo is required for the passes bought in the hotel. Take advantage of a massively reduced weekly ski pass at the reception of the hotel (average CHF 35.- for a day). Day ski passes can be purchased for the daily variable prices. The passes are also available for the regular price at the counter on the bottom of the slopes. Every year the local ski schools offers half-day ski courses in cooperation with our group. Take the opportunity to improve your style, to try something new or to start skiing altogether. It will be our pleasure to bring you together with the local professionals to have a go at carving, technical skills, snowboarding, Cross country, and so on… Please note that our group does NOT offer courses – You book them directly with the school and subsequently pay them, not us. The courses will only take place in good weather conditions and when there are enough participants. Of course you will have the possibility to book any standard course with the school. At the Sports Centre you find an ice rink big enough for a variety of sports, including ice skating and hockey. The equipment can be rented locally. If you want to try a change from the famous wellness area at the Hotel Schweizerhof , the H2Lai pool is all you need: An oasis of rejuvenation and relaxation for swimmers and people who want to both chill and do something for their health. Should you want a break from skiing, you can choose from a variety of full-day and half-day excursions per bus (postauto) or train,. Explore the old town of Chur or combine a trip to Davos with a visit of the famous Kirchner museum. You could also try one of the prettiest train journeys of the world which became part of the Unesco world heritage in 2008: the ‘Rhätische Bahn’. The ‘Rhätische Bahn’ brings you to the toboggan run on the Albula mountain pass, which is closed to traffic for the winter. It takes you from Preda to Bergün, and is a classic among the alpine toboggan runs. Families and high-speed toboggan cracks alike will enjoy the fun and action. Ask around in the group, there are always some people interested in participating. Do you prefer to enjoy the days on a snowshoe trail? There are several tours at Lenzerheide waiting for you. Find a sunny cabin terrace to enjoy a ‚Schümli Pflümli‘ or simply relax on one of the small benches to enjoy the wonderful views.